An opinion from a young staff attorney for former Alabama Governor Bob Riley set the foundation for raids over the past six years at non-Indian electronic-bingo casinos in Alabama. The young attorney's name was Bryan Taylor, and he went on to become a state senator from Prattville. Did Taylor have any expertise on gaming or the constitutional issues that surround it? The answer appears to be no. Was Taylor's analysis on target? Quite a few knowledgeable individuals apparently do not think so. Based on some of his most recent legal handiwork, Taylor's abilities as a lawyer might be described as questionable, at best. We are referring to a defamation lawsuit Taylor recently filed against the Alabama Political Reporter (APR) Web site and its editors, Bill and Susan Britt. We already have shown that Taylor, as a public official, has almost no chance to win such a case, under the law. That he filed it anyway means the Britts might have a valid counterclaim for abuse of process--and they also might have grounds to seek costs under the Alabama Litigation Accountability Act. Why would Riley spend millions of taxpayer dollars to attack facilities--in many instances, they had operated legally under constitutional amendments for roughly five years--based on Bryan Taylor's word? Was Bob Riley a rotten steward of public funds? It's not clear exactly to which 2006 case Taylor is referring. Our research indicates the most likely case is styled Barber v. Jefferson County Racing Association, 960 So. 2d 599 (Ala. Sup. Ct., 2006). We can find no information in that ruling that would support what Taylor allegedly told Riley--that all bingo facilities in the state are illegal. If there is another 2006 opinion that supports Taylor's analysis, we haven't found it yet. Was Bryan Taylor the only lawyer who came to the conclusion that e-bingo was illegal throughout the state? Nope. A major Birmingham law firm also came to that conclusion--not long after it had proclaimed e-bingo machines at one of the state's best-known casinos, VictoryLand, were . . . legal. We're not making this up. One minute lawyers connected to Bob Riley find e-bingo machines are legal; the next minute, they find them illegal. * According to published reports, Bob Riley funneled some $10 million to Bradley Arant, where the former governor's son-in-law, Rob Campbell, is a lawyer. That was just during the final two years of the Riley administration, when the governor hired the firm to help lead his anti-bingo crusade. Perhaps that had an influence on the firm's decision to switch its verdict from "legal" to "illegal" on e-bingo machines in Alabama? * The Mississippi Choctaws, Riley's documented benefactors, were experiencing a major business downturn just as Riley launched his crusade against non-Indian gaming facilities in Alabama. The Choctaws were laying off employees and cutting back casino operations to three days a week. Was that because the success of VictoryLand and other facilities were keeping Alabama customers at home? GOP felon Jack Abramoff admitted in his book that the Choctaws spent some $20 million to help fight Don Siegelman's planned lottery and get Riley elected in 2002. Did Riley return the favor in 2008 by suddenly deciding that Alabama facilities were illegal, throwing his Choctaw friends a lifeline while they were in financial distress? What's really going on? Is this controversy, which began to heavily percolate in 2008, really about legal issues or something else? In Bryan Taylor's defense, was he only doing what his boss told him to do--concoct an analysis that found e-bingo illegal, regardless of what the law or facts showed? Does the controversy exist only because Bob Riley and his associates have been bought and sold for Indian gaming interests--with the help of GOP felons Jack Abramoff and Michael Scanlon? Does the fact that Scanlon once worked for Riley tell us all we need to know about the former govenor's real motives? Rob Riley, the son of former "anti-gambling" Alabama Governor Bob Riley, has ties to national (Las Vegas) and international (Russia) gambling that go back a decade or more. The state's largest newspapers largely have ignored Rob Riley's hypocrisy on the issue. But that changed with a recent investigative piece by Josh Moon at the Montgomery Advertiser. 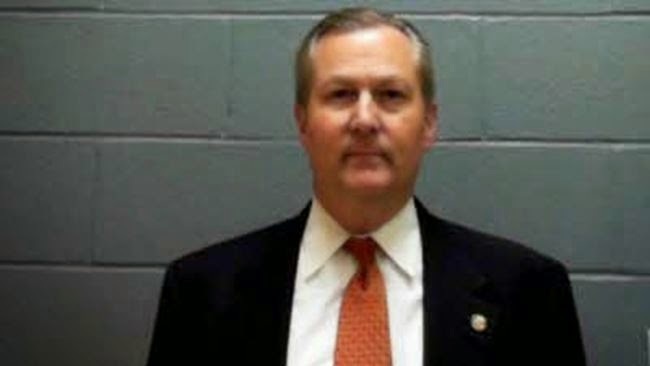 Rob Riley even initiated a business deal with VictoryLand owner Milton McGregor, whose business was targeted for raids by Bob Riley in the final two years of his governorship (2008-10). Does the Rileys' two-facedness on gambling know any boundaries? Based on Moon's reporting, the answer seems to be no. The Decatur Daily exposed Rob Riley's ties to gambling in 2005, but the issue seemingly has been off limits for the state's metropolitan dailies. Josh Moon's article changes that, and it exposes the Riley family's duplicity for a widespread audience. Rob Riley's interest in gambling seems to flow from his friendship with Robert Sigler, which started when both were students at the University of Alabama. 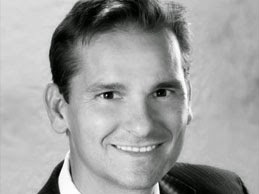 Sigler went on to head Tuscaloosa-based parent company Crimsonica and Paragon Gaming, a Las Vegas company that started in 2000 to help Indian tribes develop casino gambling on reservations. Public records show that Rob Riley was an attorney, board member, and registered agent for Crimsonica until at least May 2005. All of this from the son of a governor who once called electronic-bingo machines a "cancer" in Alabama. Rob Riley said he had no interest in (the Russian lottery) deal and warned Sigler that it wouldn't work. Ultimately, when the deal did fall apart, the investors — including McGregor, Sigler and Montgomery doctor David Thrasher — lost a substantial sum of money. There has been speculation through the years that Rob Riley also lost money, but he insists he had no involvement in the lottery deal, although he admits to losing money on some of Sigler's other ventures. Let's see if we understand this. Rob Riley knew the Russian lottery plan wouldn't work, and he had no financial involvement with it, but he helped line up other investors anyway? Does that make sense to you? Here is a more important question: If Rob Riley knew the plan wouldn't work, but still sought money for it from others, did he engage in a form of investment fraud? Shah loaned RLI Partners of Gibraltar and affiliate Investment Lottery of Moscow a $3 million short-term bridge facility in 2005. The loan was to have been replaced by a $60 million facility from Alabama-based Global Trust Partners to jointly pursue the All Russian Electronic Lottery System project. Global Trust wasn't named as a party in the lawsuit. RLI and Investment Lottery had obtained an exclusive license from the Russian government in 2004 to develop the lottery, according to court documents. The Mobile Register reported in 2005 that Global Trust had intended to ultimately raise $300 million for the project, which involved the installation of 50,000 electronic terminals throughout Russia. After becoming fully operational within a few years, it was to have been the largest lottery system in the world, according to the report. Global Trust bailed out of the financing, however, causing RLI and Investment Lottery to default on the bridge loan. A person close to the situation said that Global Trust ultimately found the project too risky and considered the business plan presented by RLI and Investment Lottery to be inadequate. The person said that Global Trust's investors lost millions of dollars of their own on the project. They are trying to recoup their losses through the Alabama state securities commission and lawyers in Russia. Failures to obtain financing caused RLI to disband a company it created in Gibraltar and Moscow specifically to develop a Russian lottery. RLI and Investment Lottery's license with the Russian government has since expired, according to people familiar with the situation. LS: You claimed in the newspaper the other day you don't know anything about gambling funds going to the RSLC and wound up in Alabama. Are you serious? They took gambling money from 2003, dating to the Mississippi Choctaws? RR: No, no, I did not know that. LS: Why do you not support gambling in Alabama? Is it on a moral basis? Does Rob Riley sound like someone who really is morally opposed to gambling? Our answer to that is no. When Rob Riley gets involved with gambling operations, does he know what he's doing? The answer to that seems to be no, as well. Prominent Alabama Republican Rob Riley claims to be "morally opposed" to gambling, but he has documented and longstanding ties to the gaming industry. Former Governor Rob Riley, Rob's father, has called electronic-bingo machines a "cancer," ignoring his own son's connections to gambling. The state's largest newspapers have tended to overlook the Rileys' gross hypocrisy on the subject. But that finally has changed with a major investigative article by reporter Josh Moon in the Montgomery Advertiser. Moon shows that both Rileys have unmistakable ties to gambling, and when questioned on the subject, tend to provide answers that don't quite add up. 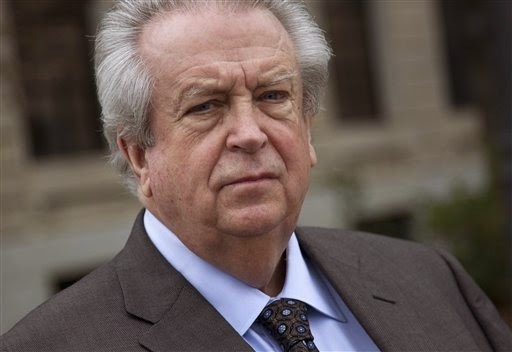 We have unmasked the Rileys for years here at Legal Schnauzer, as have other nontraditional news sites, and their gambling ties first came to our attention because of a story involving a Birmingham businessman named William Cobb "Chip" Hazelrig. 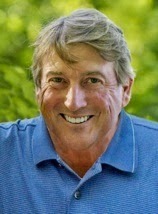 In 2002, Hazelrig gave $10,000 to Bob Riley's campaign for governor. Riley returned the donation when news broke that Hazelrig was a stockholder in Paragon Gaming, which we described as "a Las Vegas-based outfit that was formed in 2000 to help Indian tribes develop casino gambling on their reservations." The Riley family probably hoped the story would end there, but it did not. Paragon Gaming's parent company, it turned out, was called Crimsonica and was based in Tuscaloosa, Alabama. The head of Crimsonica was a University of Alabama grad named Robert Sigler, and one of his close college chums was Rob Riley. Crimsonica . . . (is) run by a UA grad named Robert Sigler. Evidently Sigler's devotion to UA is so great that he named his company after the university's mascot, the Crimson Tide. We noted earlier that Chip Hazelrig was one of the four founders of Paragon Gaming. But the principal founder was Robert Sigler. And who was a Crimsonica attorney and board member? Why, none other than Rob Riley. The Decatur Daily unearthed that little nugget from checking the Crimsonica Web site. Interestingly, the Web site has since become password protected, and Rob Riley's name has been removed from Crimsonica documents filed with the Alabama Secretary of State's Office. He was a registered agent of Crimsonica until May 5, 2005. Rob Riley told the Decatur Daily that he was not involved with "people in the gambling industry." But public records tell a different story. And Robert Sigler has big ambitions when it comes to gambling. An article dated February 19, 2005, says Sigler was head of Global Trust Partners, an outfit that was trying to initiate a national lottery in Russia. That activity was going on while Rob Riley was affiliated with Sigler's company--and while Bob Riley was residing in the governor's mansion. So the Rileys fight a lottery in Alabama, the one Don Siegelman supported, but they have connections to a lottery in Russia? Hmmm. As you can see, the mainstream press was not totally asleep on the Rob Riley/gambling story. The Decatur Daily picked up on his duplicity, but we can find no record of the state's major daily's addressing it. That changed when Josh Moon decided to look into the matter for the Montgomery Advertiser. And Moon unmasks Rob Riley in a major way. Bob Riley, former governor and Rob Riley's father, denies that he sought a job for his son with VictoryLand casino owner Milton McGregor. Riley, who spent most of his final two years as governor crusading against non-Indian gaming facilities in the state, claims the allegation makes no sense. But reporter Josh Moon, in perhaps the strongest piece of mainstream Alabama journalism during the 2000s, shows that the story absolutely makes sense--in part, because Rob Riley has worked with McGregor before, in a deal that turned out badly for the casino owner and other investors. Also, the younger Riley's interest in gaming apparently dates at least to connections he made while a student at the University of Alabama. More recently, an October 2012 article shows Rob Riley still has a tendency to fondle gambling funds and then make dubious statements when questioned about it. Prominent Alabama Republicans this week said they did not know that funds used to fight non-Indian gaming in the state came from Indian gambling sources. A check of public records shows the Republicans almost certainly were lying. A $100,000 check that went to an Alabama anti-gambling organization in 2010 originated with the Poarch Band of Creek Indians and was funneled through the Republican State Leadership Committee (RSLC), according to a report in the Montgomery Advertiser. The same article showed that Indian gambling money, via the RSLC, played a prominent role in the Republican takeover of the Alabama Legislature in 2010. Three key Republicans connected to the story--Homewood attorney Rob Riley, conservative lawyer and activist A. Eric Johnston, and House Speaker Mike Hubbard--said they had no idea the RSLC took money from gambling sources. But a simple check of public documents on the Web shows the GOP trio either was lying or was stunningly out of touch. The Alabama denials are even more hard to swallow in light of recent reports that two Las Vegas casino moguls--Steve Wynn, of Wynn Resorts, and Sherman Adelson, of the Las Vegas Sands, gave more than $625,000 to the RSLC in recent months. Another report shows that Caesars Entertainment Operating Company, of Las Vegas, has given $165,299 to the RSLC. We are supposed to believe that Riley, Johnston, and Hubbard were utterly in the dark about RSLC's ties to gaming? It's not a new development, by the way. Records at campaignmoney.com show that RSLC received $15,000 from the Mississippi Band of Choctaw Indians in 2003, followed by a $25,000 donation in 2005. Jack Abramoff, a former GOP lobbyist and now confessed felon, represented the Choctaws at the time. In 2006, the RSLC received $100,000 from Harrah's Casino Hotels. We learned about this after a Web search lasting about five minutes. But Riley, Johnston, and Hubbard are not capable of learning about RSLC's ties to gaming that go back roughly 10 years? These guys can't afford Internet service? The RSLC was founded in 2002, and we know it took gaming money in 2003. That means RSLC's roots have been fertilized with gambling cash pretty much from the outset. But GOP insiders in Alabama don't know that? So, there you have it--Rob Riley is morally opposed to gambling. How then, do we explain his habit of, time and again, being connected to the gaming industry. Is Riley a hypocrite of Biblical proportions, a man who is incapable of examining his own contradictory actions and statements? Is Riley simply the sort of fabricator who would make Jim Carrey's character in Liar, Liar blush? We will ponder those questions further as we take a closer look at Josh Moon's reporting on the Riley family's unmistakable footprints in a gambling world that they supposedly abhor. 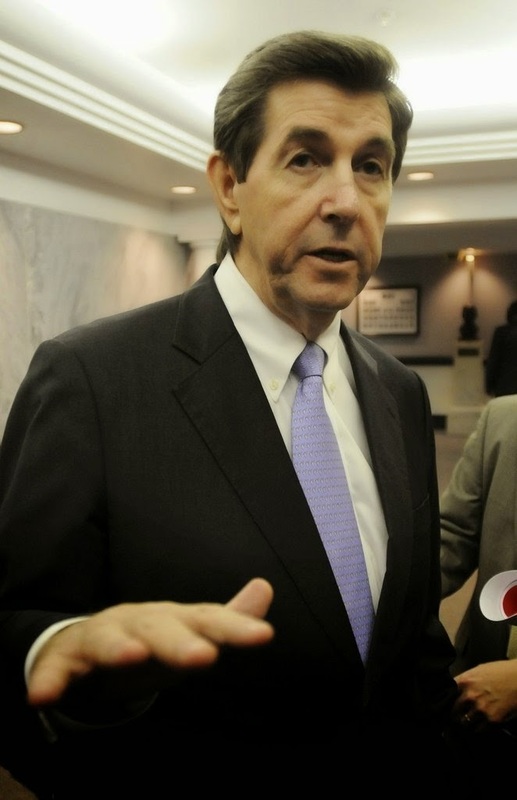 Bob Riley, who spent much of his final two years as Alabama governor launching a crusade against non-Indian gambling, once sought a job for his son with VictoryLand casino owner Milton McGregor. 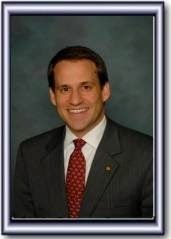 McGregor declined to hire Rob Riley, a Homewood attorney, and now believes that played a major role in Bob Riley's decision to instigate raids against VictoryLand, claiming the casino's electronic-bingo machines were illegal--even though voters approved a constitutional amendment approving e-bingo at the facility, and the machines had operated lawfully for five years before Gov. Riley took action in 2008. That is one of many fascinating insights from last week's Montgomery Advertiser article titled "Gambling in Alabama: A high-stakes game of political intrigue." The article, reported and written by Josh Moon, probably is the most comprehensive look ever at a subject that has sullied Alabama's political landscape for decades. Bob Riley denies seeking a job for his son during the meeting with McGregor. But the former governor comes across as uncomfortable and defensive when confronted with the story--and the overall tone of Moon's reporting leaves the impression that McGregor's version likely is the one much closer to the truth. Moon's reporting goes well beyond Alabama, touching on national figures such as Republican felons Jack Abramoff and Michael Scanlon, who both have documented ties to Bob Riley and his political campaigns. In my view, Moon's piece is must reading about corruption that eats at our democracy, and the article deserves strong consideration for some of the biggest prizes in journalism. Gov. Bob Riley's purpose for that meeting wasn't clear, but the request to meet wasn't particularly unusual. While McGregor and Riley weren't exactly close pals, the two were friendly enough at the time and various meetings had occurred between the two over the years. . . . While McGregor remembers the lunch menu and word-for-word dialogue, Riley's memory seems cloudy. He claims the meeting had nothing to do with Rob Riley's employment prospects, but he doesn't remember much about what it might have been about. He says the door to his office would have been open, with at least two people listening to every word, but he apparently did not supply those people's names. Riley doesn't remember a heated exchange, or a secretary checking in to see if things were OK. Moon proceeds to show why it would have made perfect sense, mainly because of the Riley family's long-time ties to gambling. Plus, Rob Riley already had done business with Milton McGregor. Ted Rollins stepped down as CEO of Campus Crest Communities one day before National Football League star Adrian Peterson entered a plea agreement in a criminal case. That's ironic because Peterson, a running back for the Minnesota Vikings and one of the NFL's most acclaimed players, faced charges that he disciplined his 4-year-old son with a switch (a tree branch with the leaves removed) in May. Peterson was charged with felony child abuse, which carries a possible punishment of two years in prison and a $10,000 fine. Peterson has been on paid leave from the Vikings, and his no-contest plea means he will not spend time behind bars. But the NFL has rejected a request for Peterson's immediate reinstatement. Where is the irony in all of this? Rollins brutally beat his 16-year-old stepson in 1995, but records indicate he never was threatened with a felony or jail time. Rollins was convicted of simple assault. His punishment? He was fined $100, charged $65 for court costs, and $250 in restitution to Franklin Regional Medical Center in North Carolina. I couldn't tell what his injuries were exactly. He was stumbling as he walked toward the house. His face was all blood . . . as if he had no eyes, completely covered. There was no way of seeing his eyes. How he walked, I don't know. He stumbled into the house as the ambulance was coming. Ms. Rollins said her son had a broken nose and numerous abrasions and lacerations. She also said paramedics administered oxygen during transport to the hospital, a sign that blood loss was to the point that the boy was in danger of going into shock. By most accounts, Adrian Peterson engaged in corporal punishment that, under the law, went too far. According to an eye witness account from Sherry Rollins (see video below), Ted Rollins beat her son so severely that it could have resulted in death. 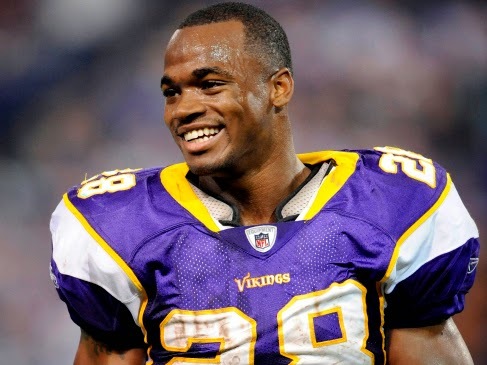 Adrian Peterson faced a possible two years in prison and a $10,000 fine, on a felony child-abuse charge. Ted Rollins was charged with misdemeanor assault and received a $100 fine. On top of that, Ted Rollins' career seemed to flourish in the aftermath. He became CEO of a public company that received more than $1 billion in Wall Street investor support. And it's not like Wall Street didn't know about the ugliness in Ted Rollins' background. A prominent analyst named Paula Poskon was told in fall 2012 about Ted Rollins' criminal history and initially reacted by stating, "Oh, my God!" Did she take any significant action? Apparently not. She eventually tried to strong arm me into deleting her comments. She even threatened to lie about what she had said in a tape-recorded phone conversation. Meanwhile, Adrian Peterson's career status remains uncertain. Why the radically different treatment for Adrian Peterson and Ted Rollins? Peterson is black and grew up under difficult circumstances in rural Texas. Ted Rollins is white and grew up in one of America's wealthiest families, the folks behind Orkin Pest Control, Dover Downs Gaming and Entertainment, and Rollins Jamaica resorts, among other enterprises. Are these two cases a sign that "equal protection under the law," as stated in the Fourteenth Amendment to the U.S. Constitution, doesn't mean much these days? Ted Rollins, the CEO who brutally beat his stepson and likely committed perjury in a grossly unjust Alabama divorce case, was forced out yesterday as head of Campus Crest Communities. The decision apparently was based on the company's slumping financial performance. Charlotte-based Campus Crest builds student-housing developments near universities around the country. According to the firm's Web site, it has 81 properties in 27 states--and that includes five projects under The Grove brand that are in operation or planned for Alabama (at South Alabama, Troy, Jacksonville State, Auburn, and Alabama). As of August 2013, Wall Street investors had showered roughly $800 million on the company, and that figure probably tops $1 billion by now. Ted Rollins belongs to one of the South's wealthiest families. His cousins, Gary and Randall Rollins, are Atlanta billionaires and direct Rollins Inc., the umbrella company for Orkin Pest Control and other profitable enterprises. The Atlanta side of the Rollins family, and their public squabbles over trust funds and divorces, was recently spotlighted in an article by reporter Clare O'Connor at Forbes magazine. Wall Street was well aware of the messiness in Rollins personal life. Paula Poskon, an analyst with Robert W. Baird and Company, learned in October 2012 that Rollins had been convicted in 1995 for assaulting his stepson in Franklin County, North Carolina. She also learned that Rollins had been the target of a social-services investigation, based on a citizen complaint, for possible sexual abuse of the same stepson. Poskon's reaction to this news? "Oh, my God, I was not aware of any of that. . . . It certainly sounds like I need to do a lot more digging." Did Poskon do more digging? Apparently not. A few months later, she tried to strong arm me into retracting her statements about Ted Rollins. Wall Street did not get alarmed, it seems, until Campus Crest Communities took a financial nosedive under Ted Rollins' leadership. One account yesterday, from streetinsider.com, said Rollins "resigned." Another article, from seekingalpha.com, said Rollins had "been terminated, effective immediately." It also said "the stock price soared" as the news got out. Campus Crest Communities (NYSE: CCG) reported Q3 FFO of $0.15, $0.01 worse than the analyst estimate of $0.16. Revenue for the quarter came in at $28.3 million versus the consensus estimate of $27.83 million. The company also announced additional changes in senior management, as well as its intent to acquire Copper Beech assets, discontinue its construction and development business, reduce joint venture exposure and sell non-core assets as part of the Company’s release of financial results for the three months ended September 30, 2014. Effective immediately, Ted W. Rollins, Chairman and Chief Executive Officer, has resigned and will no longer be actively involved with the Company. The Independent Directors of the Board of Directors of the Company have elected Richard Kahlbaugh, lead independent director, as Executive Chairman and Interim CEO. It is intended that Mr. Kahlbaugh will guide the Company through the completion of its strategic repositioning. * Marketing development pipeline assets for sale to increase liquidity and simplify balance sheet. It sounds like Rollins' company was about as messy as his personal life--and that is pretty messy. We first became aware of Ted Rollins via Rollins v. Rollins, his divorce from second wife, Sherry Carroll Rollins, a Birmingham resident. The case was heard in Shelby County, Alabama, before Circuit Judge D. Al Crowson, even though clear law shows jurisdiction already had been established in South Carolina, and the case could not be heard anywhere else. Crowson essentially stole a case that belonged to another state and proceeded to grant Ted Rollins such a favorable judgment that it left Sherry Rollins and the couple's two daughters on food stamps over large portions of the past six years. I've called Rollins v. Rollins the worst courtroom cheat job I've encountered in seven years of writing about Alabama legal issues. Why might Ted Rollins receive favorable treatment in Alabama. 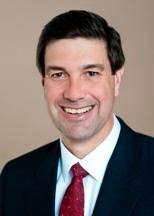 His corporate law firm, Bradley Arant, is based in Birmingham. 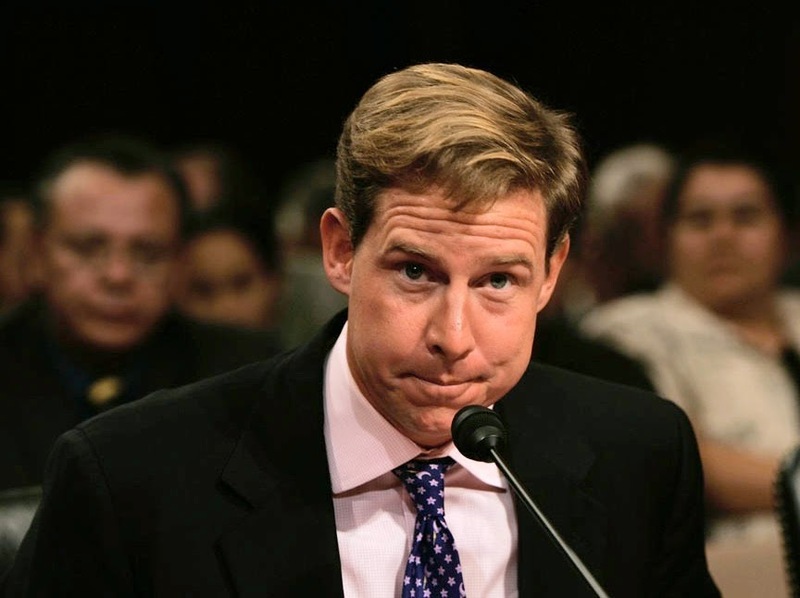 Wall Street knew Ted Rollins had a criminal conviction that involved the physical abuse of a child, but analysts and investors remained mostly silent about that. An Alabama judge unlawfully took a divorce case and issued a grossly one-sided judgment--and appellate courts upheld it with an "affirmed, no opinion" ruling. The legal community has been mute about that. What does that say about the values of Wall Street? What does that say about the values of our "justice system"? Did decision to take the stand in his own defense nail down not-guilty verdicts in Barry Moore case? Conventional wisdom in the legal world holds that a criminal defendant should almost never take the stand. The logic seems to be that by testifying in his own defense, the defendant allows prosecutors to pose potentially damaging questions that otherwise would go unasked. 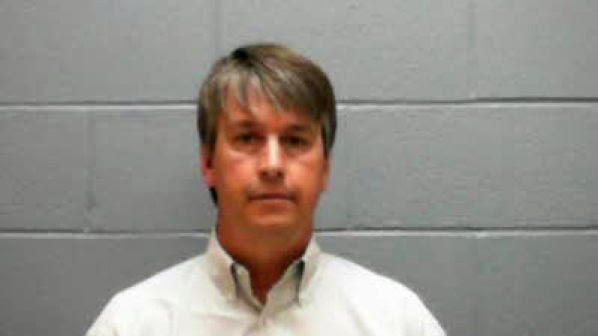 State Rep Barry Moore (R-Enterprise) defied that logic and was found not guilty in the first trial arising from a Lee County grand jury investigation related to the activities at the Alabama State House. Based on press reports, Moore was not a particularly effective witness. In fact, one account suggests he more or less confessed to at least one instance of perjury. But we suspect his decision to stand up and speak on his own behalf played a role in the non-guilty verdicts, on two counts of perjury and two counts of providing false statements. A source who was present for the trial says the Moore defense team's strategy apparently consisted of creating as much confusion as possible, perhaps to draw attention from taped phone conversations that seemed to show Moore was less than truthful before the grand jury about threats issued by House Speaker Mike Hubbard. My mother used to always tell me that I argue just to argue, and that is exactly what happened in this case. Moore’s legal team had no legal standing to argue on, so they resorted to arguing irrelevant facts that came across to me as absurd and laughable. The defense created such a foggy haze of ludicrous assertions that at times I forgot what Barry Moore was on trial for. This tactic clearly worked. You can never overlook the element of race in an Alabama proceeding, so I asked our source about the racial makeup of the jury. He said it was seven whites and five blacks--two black males, five white males, two white females, three black females. Both alternates were white females. A scatter-shot defense that left observers scratching their heads apparently carried the day. And I suspect Barry Moore helped himself by taking the stand. My guess is that, to many jurors, nothing screams "Guilty" like a defendant who won't speak for himself. That might not hold true if the defendant is a street thug with a long list of prior arrests and convictions. But in a white-collar case, where the defendant is likely to be fairly well spoken and the law often is murky, I think it makes sense for the defendant to put himself out there for questioning. I see no reason for the Moore verdict to have any impact on future proceedings that grow from the Lee County investigation. But the case did provide us with a memorable quote. In one tape recording, political opponent Josh Pipken is heard telling Moore "most business leaders think you're a snake and stupid as well." How's that for laying the cards on the table? We don't know if Moore is stupid or not. But he was wise enough to take the stand in his own defense. And we suspect he owes his freedom, at least in part, to that decision.